We are leading Manufacturer and Exporter of high-quality array of Pressure Vessel, Storage Tanks, Sewage Treatment Plant, Waste Water Treatment Plant, etc. Also, we provide Sand Blasting & Painting Services to our clients. 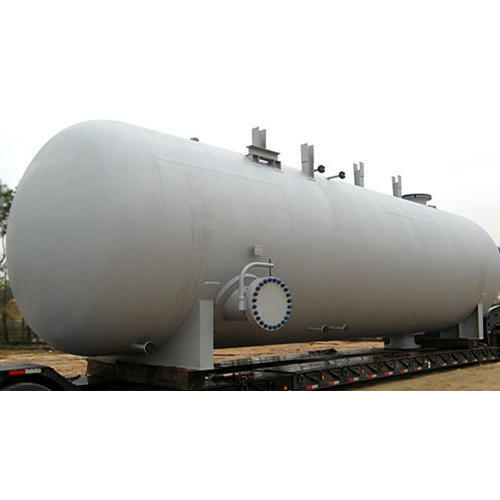 We are a leading organization engaged in manufacturing and exporting a broad assortment of Pressure Vessel, Storage Tank, Sewage Treatment Plant, Waste Water Treatment Plant, Water Softener, Effluent Treatment Plant, etc. These products are manufactured using cutting-edge technology and high quality raw material at our well-equipped infrastructural unit. This product range is highly appreciated in the market for its features like robust construction, durability, low maintenance, excellent functioning and high efficiency. Apart from this, we also provide Sand Blasting and Painting Service to our clients.